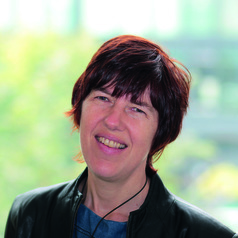 My research focuses on citizenship, human rights and social movements in contemporary China; political sociology and social movements, particularly transnational movements; constitutionalism, law, politics and governance in modern China and beyond; gender and the state; asymmetry and formal autonomy in state systems; migration and translocality; local citizenship and the politics of sustainability. Sophia Woodman. 2016. Local Politics, Local Citizenship? Socialized Governance in Contemporary China. The China Quarterly. Published Online 8, April. Available at: http://dx.doi.org/10.1017/S0305741016000345. I am interested in supervising students doing research on topics in political sociology, including citizenship, human rights and social movements, particularly those that have a gender angle or seek to analyze welfare regimes. I welcome projects using innovative methodologies, such as action research. I'm especially open to projects that have transnational engagements and/or relate to China or other parts of Asia.